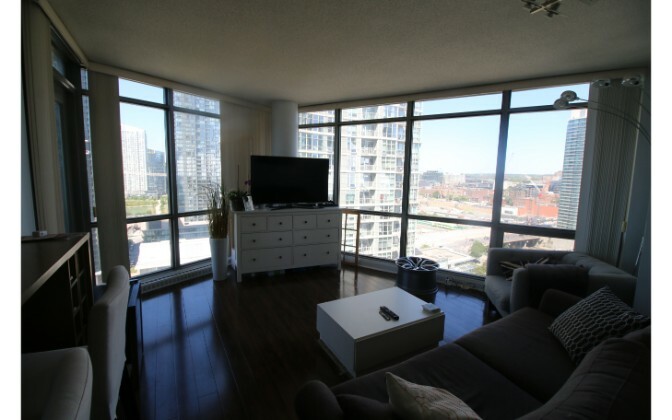 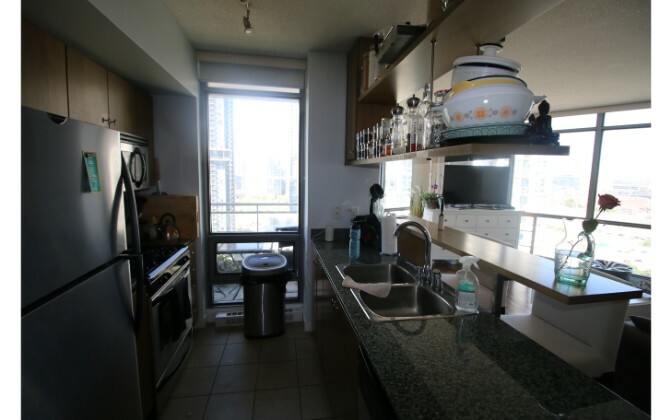 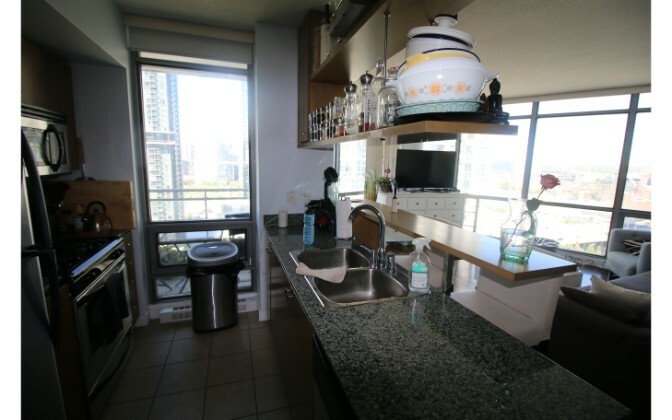 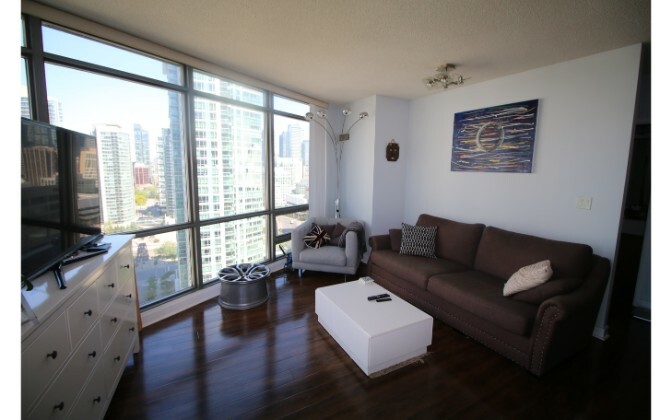 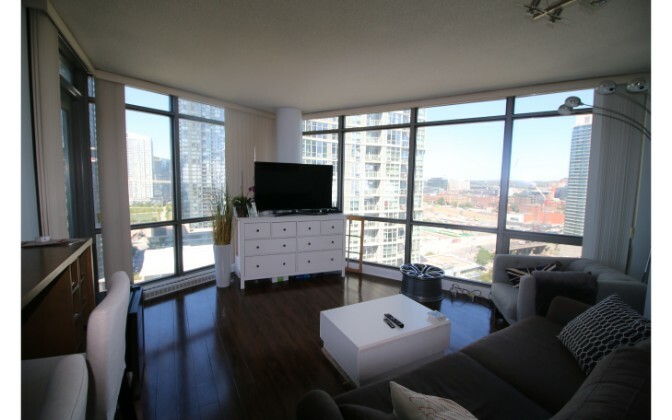 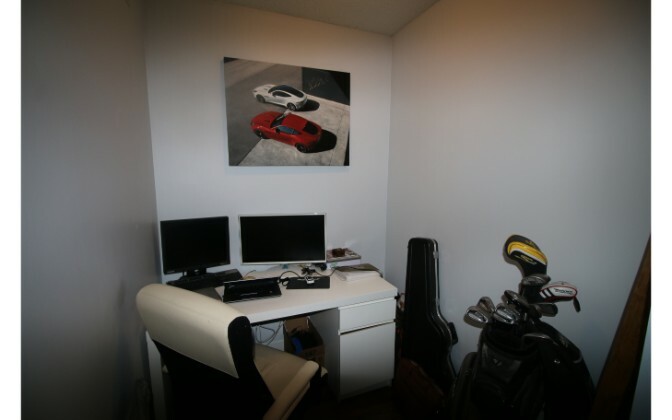 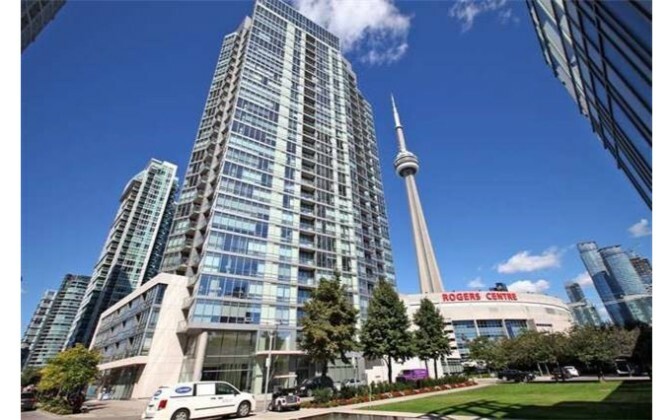 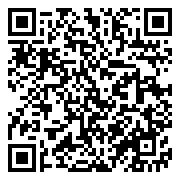 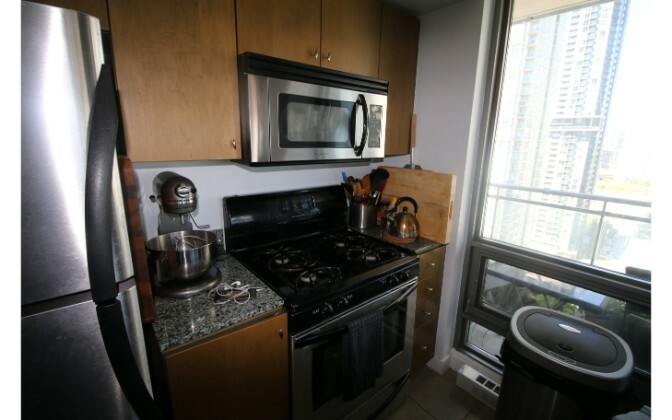 This is a beautiful 1 bedroom plus den is a professionally managed 1 bedroom +Den, that is bright, spacious and clean. 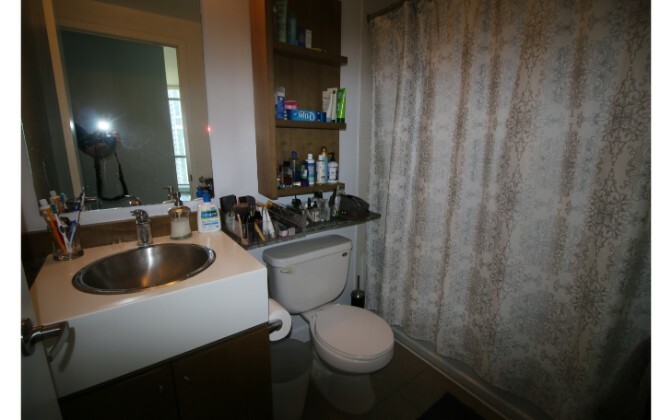 The condo has 1 bathrooms, 1 parking spot, 2 bike racks and is conveniently located Bremner and Spadina. 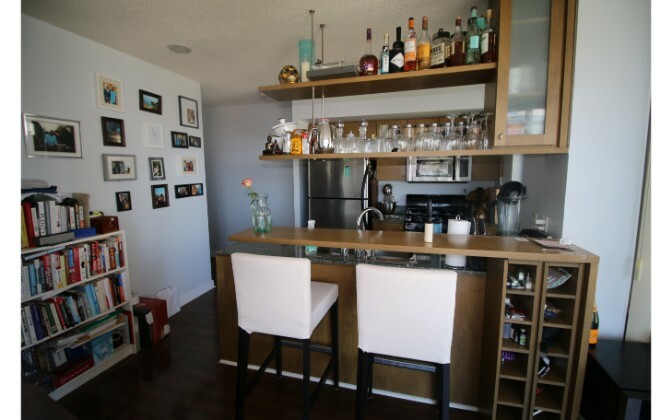 – Spacious and bright open concept kitchen and living room; lots of light and great for entertaining. 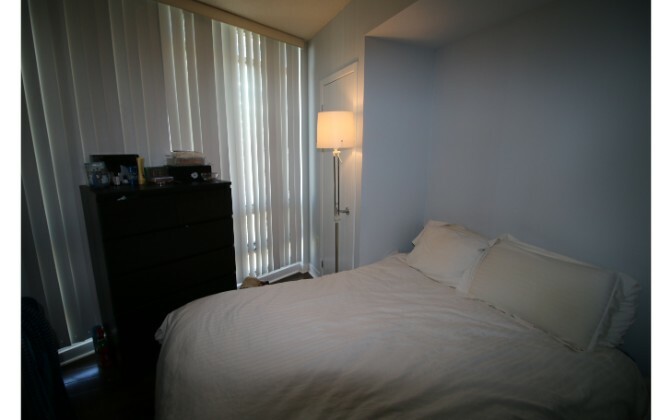 – 1 spacious bedroom with his and hers.